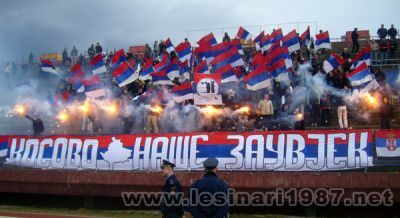 Pilsat is the main supporter group of FC Prishtina. 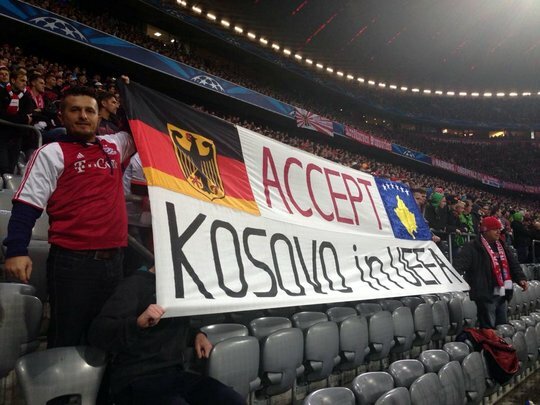 Since 1999 Kosovo became a UN protectorate and FC Prishtina left the Serbian football league system and became part of the Kosovar Superliga, which is the highest football division in Kosovo. This week Pilsat celebrated their 25th anniversary with lot of pyro in their city. labs banneir no Bayern... tikai vai tie ir vaciesi?